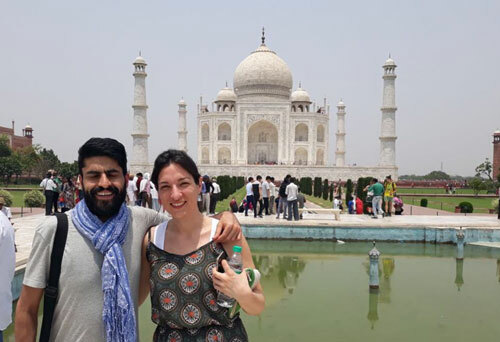 We offering you 3 Days Taj Mahal Tour, Taj Mahal Tour 3 days, 3 Days Taj Mahal Tour Package, Taj Mahal Budget Tour, Budget Taj Mahal Travel Package. .
Agra houses the beautiful Taj Mahal, which is known as one of the Seven Wonders of the World. None the less Taj Mahal adds to the beauty of Agra and made Agra one of the most sought after tourist’s destination in India. Well,well if you dreamt to witness the beauty of Taj and haven’t been yet, you are surely missing on something very grand and beautiful; and we would suggest you to plan a trip ASAP! Your 3 days Taj mahal Tour begins at 9am today with a tour of Ol Delhi. Meet your English speaking guide and travel by private vehicle to the heart of the city, pulsing with the energy and colour of bazaars and laced by mazes of narrow lanes full of the sights, sounds and smells of India. Visit the Jama Masjid Mosque, which boasts wonderful marble domes and tapering minarets. You can also ride a rickshaw around the back streets to experience the hustle and bustle of everyday Indian life. After a busy morning, stop for an optional lunch in Old Delhi before departing city around 2 pm for the drive to Agra by a private air conditioned car (approx 5 hrs). 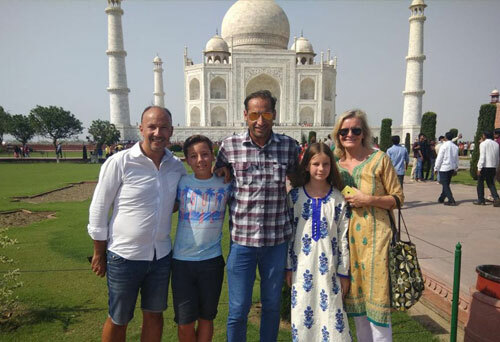 Upon arrival, check in to your hotel with the assistance of our local representative who will provide you with a briefing of the next day's itinerary, including arranging the time of your Taj Mahal visit. The rest of the evening is free for you to explore or enjoy an evening meal. Today there will also be some free time to unwind and relax, explore the back lanes of Agra, visit the Taj again, or watch local artisans and villagers making handicrafts, marble inlay work, or carpets. A visit to the Sheroes Cafe, which provides employment for women who have been affected by acid attacks, is also highly recommended. 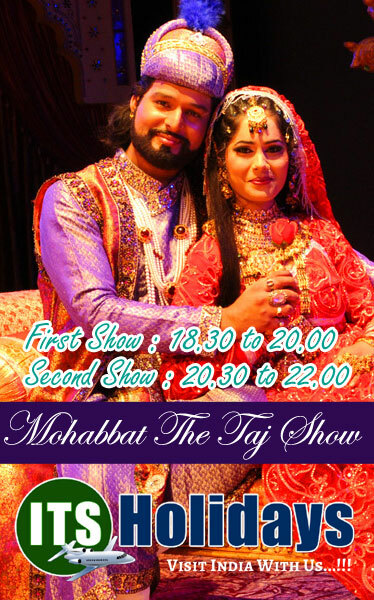 Spend your evening enjoying the amazing Mohabbat The Taj show. After show Take a Dinner and back to hotel. Overnight stay. Day 03 - Agra - Fatehpur Sikri - Delhi. After breakfast, get ready for Taj Mahal Tour 3 Daysyou will be met by your guide who will assist in checking you out of your hotel. Travel by private A/C vehicle towards Delhi, stopping en route at the deserted Mughal kingdom of Fatehpur Sikri (approx 4 hrs). Built by Emperor Akbar in 1569, it was abandoned after 15 years due to the scarcity of water. A highlight of the settlement is Jama Masjid, a striking mosque featuring elements of both Persian and Hindu design. 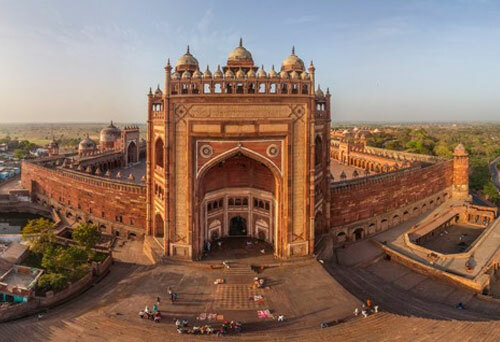 The main entrance of the mosque is the impressive 54 metre-high Buland Darwaza, the Gate of Victory, constructed to commemorate Akbar's military victory in Gujarat. 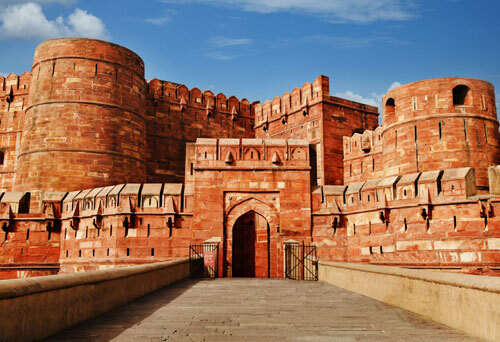 After this visit your guide will bid you farewell as you begin your journey back to Delhi. Your driver will drop you off at your hotel in Delhi. You can expect to arrive back in Delhi by approx 3 pm. If you are departing today, please do not book your flight before 10 pm to allow enough time to get to the airport and check in.